MPs are now mulling a fresh law to stop State agencies from depositing public money in commercial banks. It is a move that will cause a major disruption in the banking industry, as key players will be blocked from accessing Government funds. In a new Bill headed to the Government Printer for publication, the MPs have proposed tough new rules to guide the Government on where State agencies will bank, for how long, and the threshold of interest to warrant banking with commercial banks. In the Banking (Amendment) Bill, 2017, which the Vice Chairperson of the Public Investments Committee Kimani Ichung’wa has sponsored, the managers of public bodies who have been working with commercial bank managers to skim off interest earned from deposits of public funds will have to bank with the Central Bank of Kenya or buy government securities. The only banks allowed to take public money are those in which the Government has atleast a 20 per cent stake directly or indirectly. These are just five: Kenya Commercial Bank, National Bank of Kenya, Consolidated Bank of Kenya, Development Bank of Kenya and the Post Office Savings Bank. “A public body shall not invest or deposit public funds or make any other form of deposit in a commercial bank or any financial service provider other than in government securities,” reads the proposal. The Bill says that for a ministry or a parastatal to bank with any commercial bank, it will need the authority of the Cabinet Secretary for the National Treasury, and still, the money can only be kept in the bank for a maximum of 21 days. All the other major commercial banks will lose government business, unless they invest in government securities. “These people (banks) have been having deals with managers of these State corporations. They put money for development in these banks, in fixed deposit, the money gets some interest, but this interest is never surrendered to the Government. We have to stop them,” Ichung’wa told Weekend Business. The proposal comes with very punitive punishment for any accounting officer – a boss of a State agency responsible for management of public funds – who deposits public money in private commercial banks without the authority of the Cabinet Secretary. “An accounting officer who contravenes the provisions of this section commits an offence and shall on conviction be liable to a fine not exceeding ten million shillings or to imprisonment for a term not exceeding five years or to both,” reads a clause in the Bill. The PIC vice chairperson said the committee had realised that many State corporations such as Kenya Ports Authority, Higher Education Loans Board and the Youth Enterprise Development Fund had all deposited millions of shillings in different commercial banks under the fixed deposit accounts earning lucrative interest. “When Chase Bank went down,the Kenya Ports Authority came and told our committee that Sh3 billion of their money was stuck there, and they were having problems running their programmes,” Ichung’wa said of the update that KPA managing director gave to the committee. The MP said the way it works is that parastatals choose the fixed deposit route to make extra cash for the management and some members of the board, and thus, there is usually no incentive to roll out programmes. “Why do you think all these government departments report low absorption of development funds? Why should the Government borrow at 10 per cent, when their money is stuck in some commercial banks?” posed Ichung’wa. 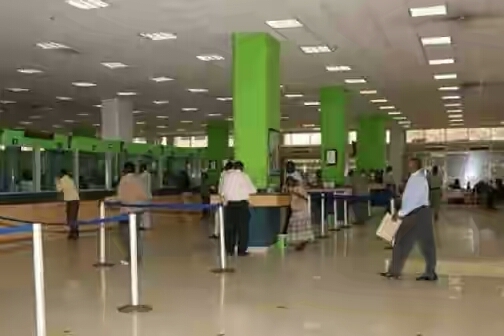 For a commercial bank to get a public body to deposit money in it, it will have to confirm in writing that the public body will be getting a “higher return than the return offered by the Central Bank of Kenya from government securities”, and that the “National Treasury is not in need of borrowing from domestic market through government securities”. In addition to the ban on banking public funds in commercial banks, the MPs have a fresh surprise to banks. After capping interest rates on loans at “no more than four per cent” of the Central Bank Rate, MPs now want to make sure that “all charges” relating to a loan are included as the banks compute the maximum loan interest rate cap. “A bank or a financial institution shall set the maximum interest rate chargeable on a credit facility at no more than four per cent, the base rate set and published by the Central Bank of Kenya,” says Ichung’wa in the memo of the Bill. Kenyan lawmakers have always disagreed with the Executive, the Central Bank and the banking industry over the interest rates that commercial banks charge on loans and the meagre interest that depositors earn. In a globalised economy, where price controls are frowned upon, the Central Bank’s headache is to try and strike a balance between consumer protection and bank regulation. The National Treasury, the Central Bank and the Government have now adopted a policy of foreign borrowing with the hope that the Government doesn’t crowd out domestic borrowers, a situation that raises interest rates in the country. The Monetary Policy Committee has also consistently maintained the CBR at low rates. The latest and final attempt by the National Assembly to cap the interest rates was on July 27, 2016, when the House approved the Banking (Amendment) Bill, 2015, that had been moved by Kiambu MP Jude Njomo. That Bill was assented to on August 24, 2016 bringing to an end a 16-year legislative battle to regulate interest rates. President Uhuru Kenyatta assented to the Bill noting that banks had done very little to lower interest rates. “I have consulted widely and it is clear to me from those consultations that Kenyans are disappointed and frustrated with the lack of sensitivity by the financial sector, particularly banks. These frustrations are centred around the cost of credit and the applicable interest rates on their hard–earned deposits. I share these concerns,” he said. “Despite having one of the most efficient and effective financial markets, Kenya has one of the highest returns-on-equity for banks in the African continent. Banks need to do more to reduce the cost of credit and ensure that the benefits of the vibrant financial sector are also felt by their customers,” he added.